Better Than A Greeting Card - Flamingos by the Yard! In the middle of the night, our sneaky staff will fill your loved one's front yard with any of our nearly 100 unique lawn displays or one of our giant inflatable balloons. 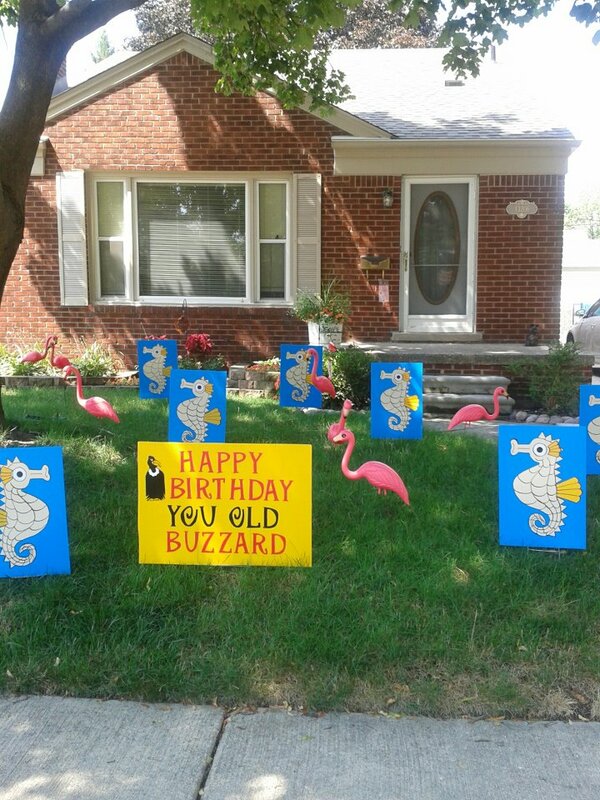 Imagine their surprise when they wake up in the morning to find this surprise! The entire display will magically disappear overnight (after 7:00 p.m.) leaving fond memories! What could be better than celebrating a Birthday with an 15-foot-tall Inflatable Birthday Cake? Or a Graduation with one of our Kids in their cap and gown? How about red Hearts or Teddy Bears for an anniversary? Perhaps Lambs for a Sweet 16 or First Communion? A Sign accompanies every display to announce your occasion. If you'd like to personalized your display, we can spell out name's in big letters for a small extra fee. An informational card will be left in the front door so you can take the credit - or remain anonymous. We'll never tell! 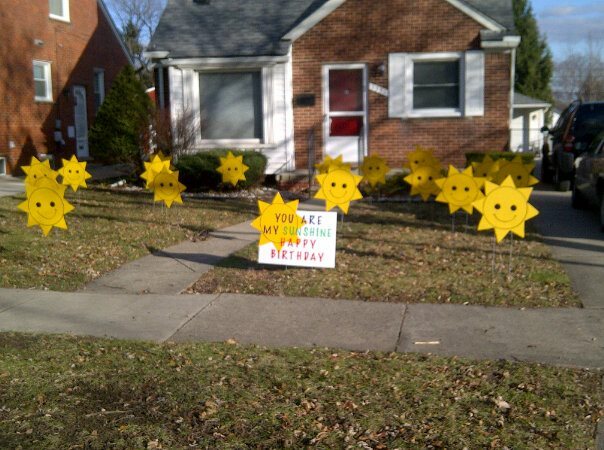 We have over 100 themes of Lawn Greetings to accommodate any occasion. Call us today to mix and match your custom display.